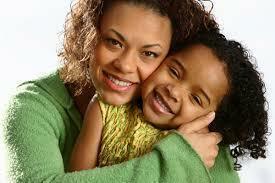 Thank you for visiting the website of Single Moms United (SMU). We are driven to "Educate, Equip and Empower" women to success through life skills, mentoring, leadership, and community development in the Greater Houston area. SMU is designed to provide up to 6 months of transitional housing to moms in temporary need, offering "full circle" service in conjunction with HER EFFORTS to restore the Total Woman. The above programs foster renewed interaction and greater community involvement. Establishing this model of excellence helps us Prepare, Restore and Transform mothers and families into GREAT MOTHERS AND GREAT FAMILIES. SMU has partnered with various community and faith-based organizations to address the diverse challenges in our community. SMU has also partnered with the Texas Workforce Commission to create 25 new jobs, enhance job sustainability, provide job retention training, and develop an Emergency Response Fund (ERF) that will allow immediate assistance in a disaster related emergency. "Pursue your Purpose with Passion"
We thank you in advance for your 2018 tax-deductible contributions. "Pursue your Purpose with Passion because your current circumstance does NOT dictate your future."